Be the first to share your favorite memory, photo or story of ANGELO. This memorial page is dedicated for family, friends and future generations to celebrate the life of their loved one. ANGELO PRIVITERA, Age 78. 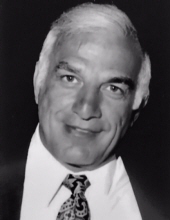 Beloved husband of the late Karen E. (nee Krach); devoted father of Anthony, Michael and Karen L. (David Gates); proud grandpa of Abrianna and Molly; brother of Josephine Somrak (Joe, deceased), Nancy Cosentino (Len), Angela Haverdill (deceased), Sam (Virginia) (both deceased), Mary Ann Zielinski (Edward), Jeanette Mamone (Domenick, deceased) and Christina Gasparro (John); brother-in-law of Kathleen Young; uncle of 19; great uncle of many. Teacher and coach at Lakewood High School for 33 years. Passed away peacefully at home, surrounded by his children, on Monday, October 22, 2018. Angelo’s family is grateful for the many friends, students & athletes who brought immeasurable joy, laughter & comfort into his life, especially Susan, Ruth Ann, Jill, Sturz, Paula, Pete, Mr.B and “Ol’ Izzer.” Funeral Mass St. Malachi Church W. 25th and Detroit Ave. Saturday, November 3 at 10:00 a.m. (PLEASE MEET AT CHURCH). Private Interment SS. Peter & Paul Cemetery Glenmont, OH. Friends may call at THE McGORRAY- HANNA FUNERAL HOME OF LAKEWOOD 14133 DETROIT AVE. FRIDAY, NOV. 2; from 2-7 P.M. Family suggests memorial contributions to The Karen & Angelo Privitera Educational Fund; payable to The Lakewood Rangers Education Foundation, 14100 Franklin Blvd, Lakewood, OH 44107. W. 25th and Detroit Ave.
"Email Address" would like to share the life celebration of ANGELO PRIVITERA. Click on the "link" to go to share a favorite memory or leave a condolence message for the family.